Many people may be ramping up their cooking as part of the new year, whether the reason is to be healthier, to reign in food spending, or, like me, to enjoy new cookbooks that were acquired as part of the holiday season. Matt’s cousin, an impressive cook and founder of Cooking with Kyler, along with his wife, gifted us with the Ottelenghi: The Cookbook. I had been meaning for a long time to borrow the much-talked-about Jerusalem cookbook from my library, so this was a nice treat to experience Yotam Ottolenghi and Sami Tamimi’s style of cooking. 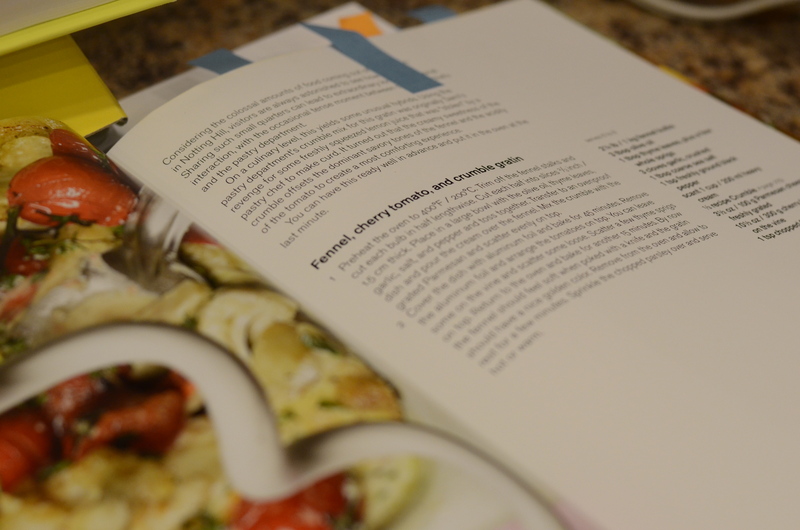 It seems to me that many of these restaurant-chef authored books incorporate more of those hard-to-find or very recipe-specific ingredients, a lot of homemade components, and frequent scratch-based instructions in their recipes (i.e. home pickling, stocks, and doughs). I have yet to fully commit myself to such an approach. I don’t strive for perfect authenticity. Especially when becoming introduced to a new cookbook, I gravitate toward the recipes that require minimal advance preparation. Ottolenghi and Tamimi start the book by listing some of their favorite ingredients, many of which I’m on board with but some that I won’t rush to acquire (rose water) or to which am not ready to commit (sumac). I love their #8 item, pomegranate. The first recipe I prepared from the book was a fennel salad with beautiful pomegranate seeds and lemon dressing (I left out the sumac that was listed) as part of a New Year’s Eve meal for two. 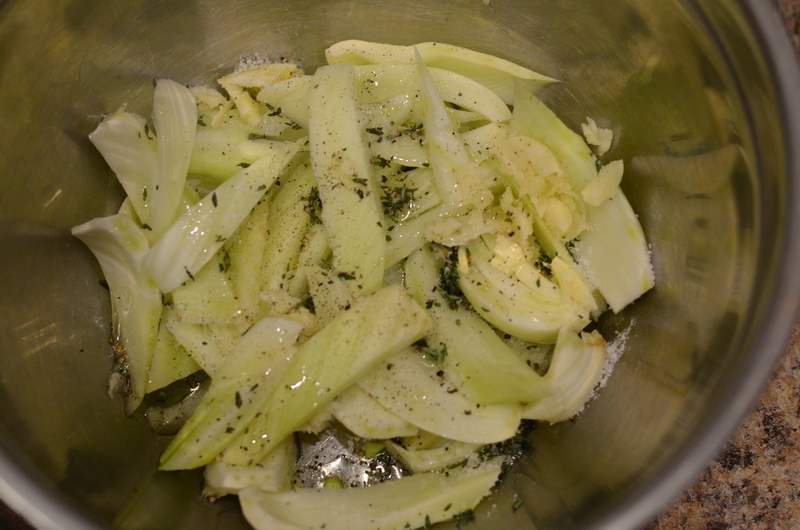 I had a fennel bulb left over, so that drove my decision to make the below recipe. If starting from a stick of butter, I recommend cutting it into the small cubes and then returning those cubes to the refrigerator or freezer to ensure they are very cold when added to your mixer or food processor. Put the flour, sugar, and butter in a bowl to mix with your hands, or in an electric stand mixer, or, like me, in a food processor to work into uniform read crumb consistency. Transfer to a container. You’ll use about 2/3 of it if making a smaller portion of the vegetables like below. 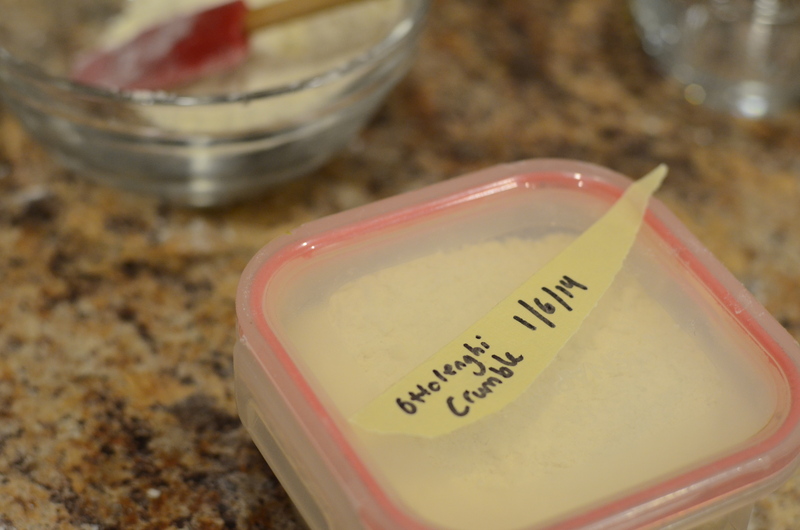 The rest can be kept in the freezer for a later date. 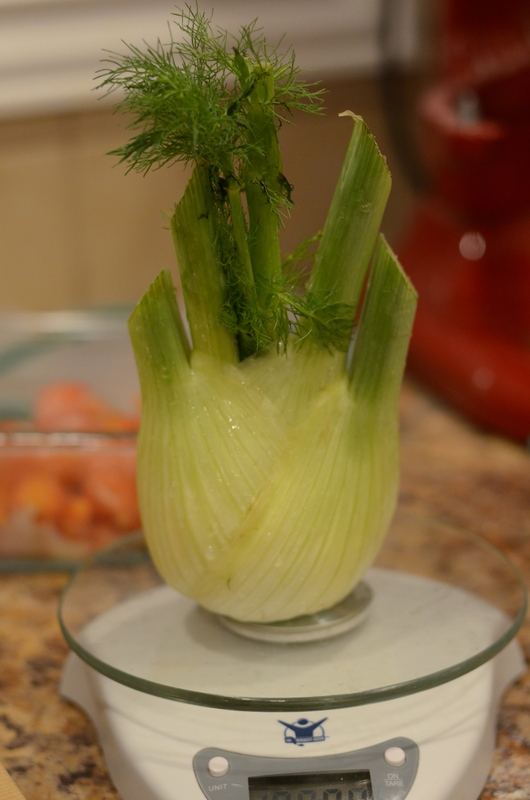 Trim along the top and the base of the fennel stalks. 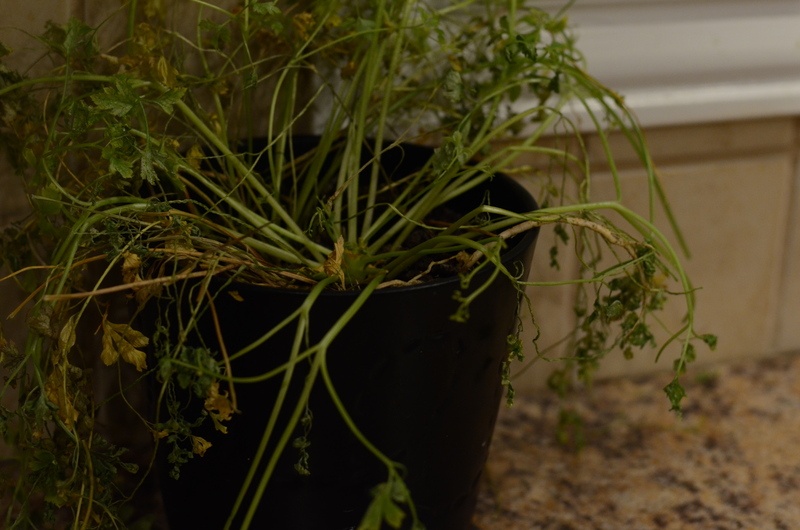 Cut the bulb in half lengthwise, and slice each half into pieces about 2/3 inch thick. 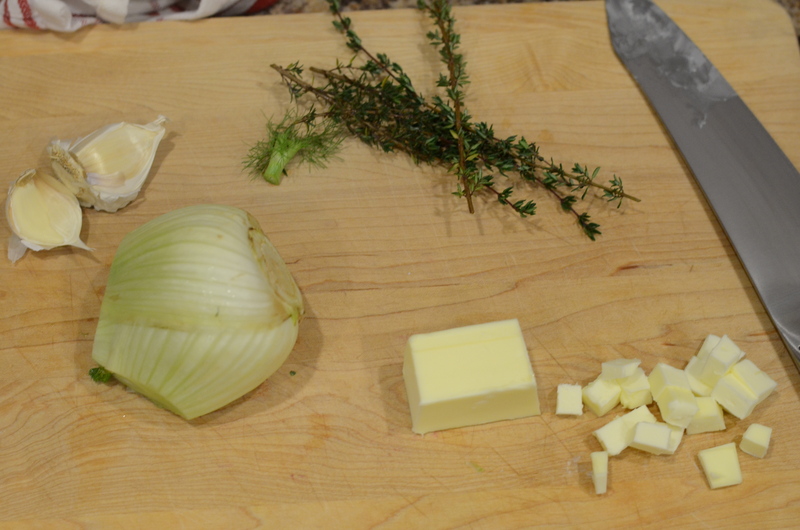 Add to a large bowl with olive oil, thyme leaves, garlic, salt and pepper. Toss. 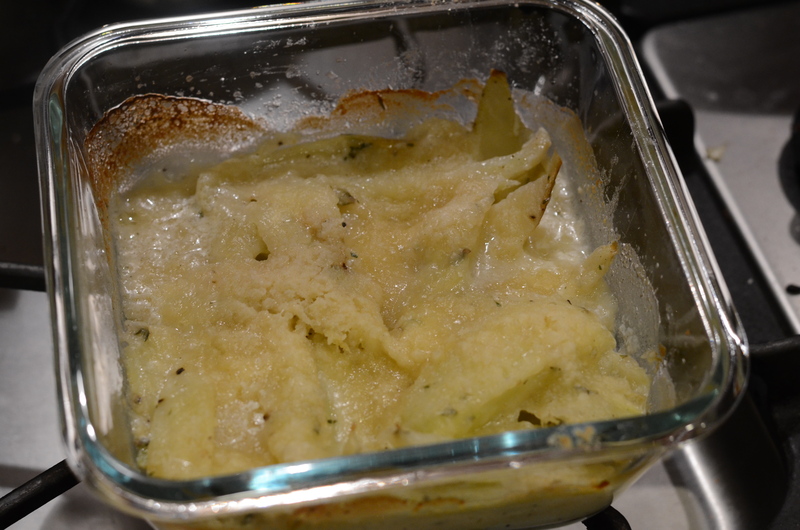 Pour into an ovenproof dish and pour milk/cream over the mixture. 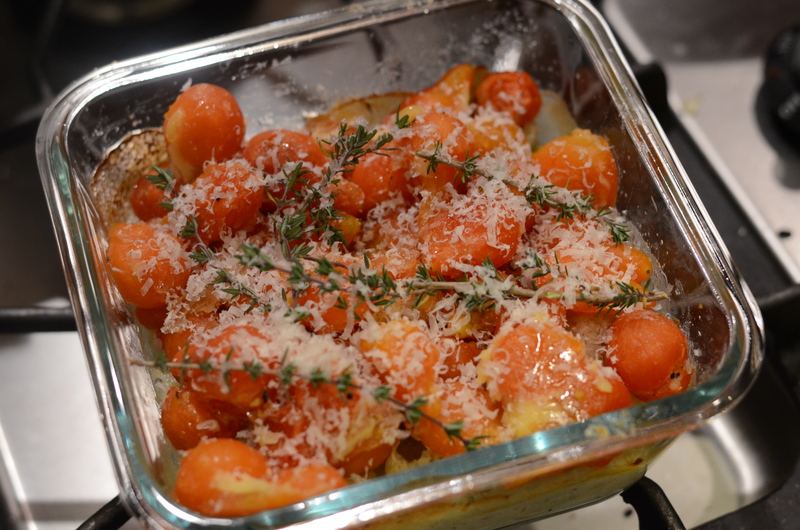 Mix the Crumble and the Parmesan and sprinkle on top. Cover the dish with aluminum foil and bake for about 45 minutes. I forgot to add the milk until partway through the cooking time. Fortunately, it turned out OK! Remove the dish from the oven and remove the aluminum. 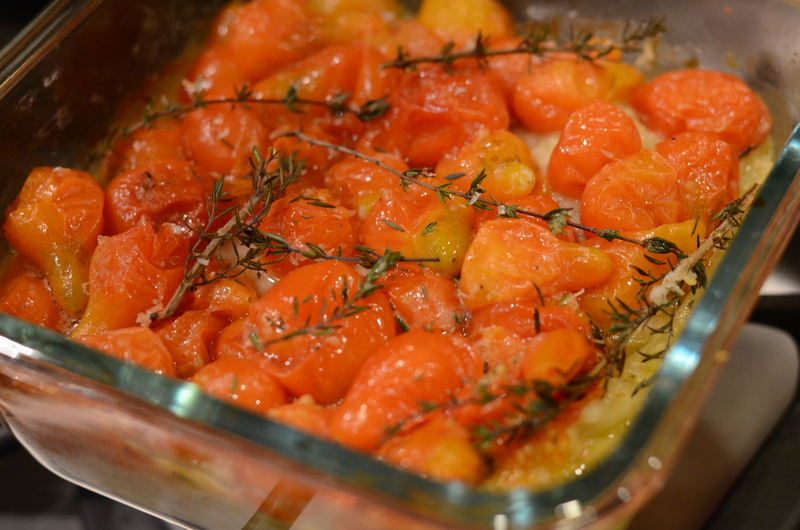 Add the tomatoes on top, and scatter some thyme springs on top of that. How about an extra sprinkling of cheese for good measure? 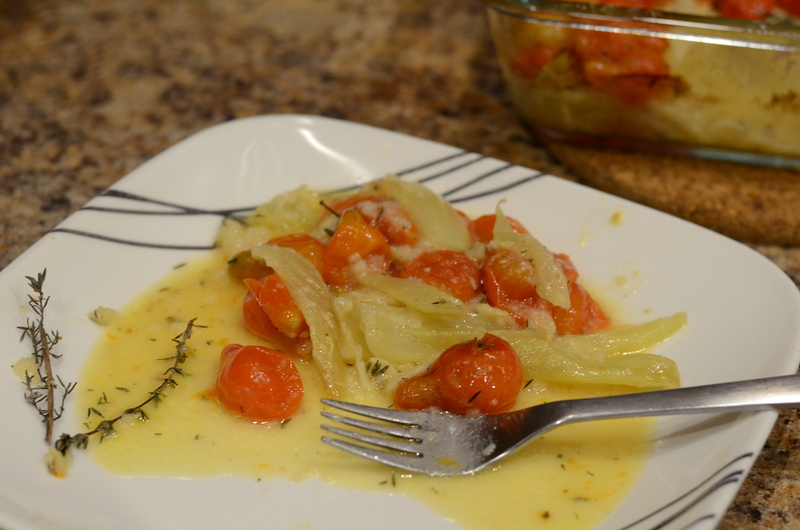 Here’s another reason this recipe caught my attention, and how I was resourceful–these off-season tomatoes actually came from my garden. I think they were one of the the last batches picked from my plants back in November, and they didn’t look especially appealing to eat raw so I roasted them. Then I froze them because I wasn’t feeling the urge to eat them at the time. Since this recipe called for roasting as well, I was happy to use them. Return the dish to the oven and bake for another 15 minutes, approximately. 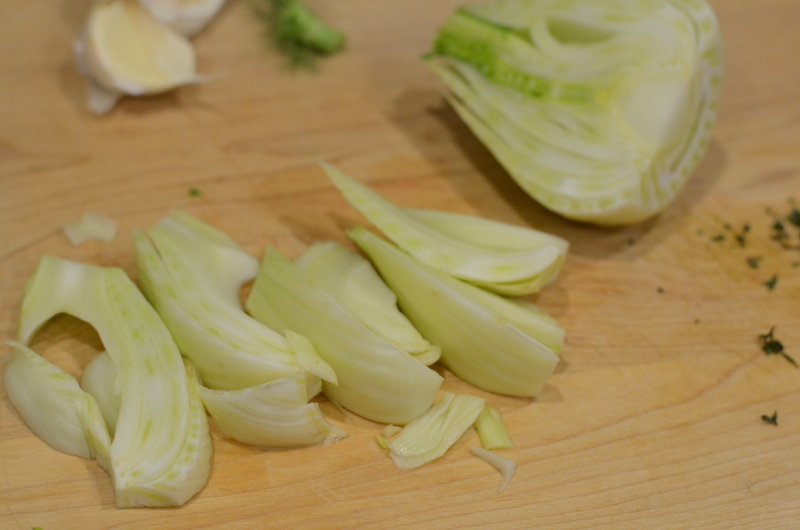 You want to be able to poke through the fennel easily and ideally achieve a golden color. Allow the dish to rest out of the oven for a few minutes before sprinkling with parsley. I was able to pull the last acceptable-looking leaves from this plant before I laid it to rest for good. As usual, I forgot to add the parsley until after the photos. Now I want to eat these tomatoes! The sugar and butter in the Crumble make the dish fairly indulgent. I will have to see what the rest of that Crumble can do for other roasted vegetables, perhaps ones I don’t especially like. Here’s to trying even more new things in the new year! This entry was posted in Fresh Herbs, Recipes, Tomatoes, Vegetables, Vegetables, Vegetarian and tagged fennel, gratin, ottolenghi, parmesan, parsley, roasted vegetables, thyme, tomatoes. Bookmark the permalink. Thanks for the recipe! I’m going to make a variation of this!